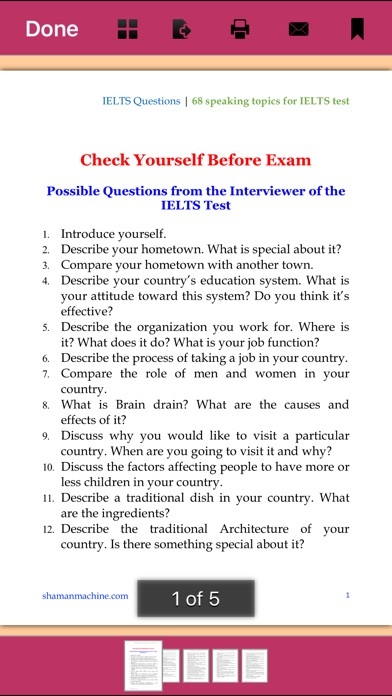 Here you can find IELTS Essay samples of Band 8, written by students and graded by an IELTS teacher. 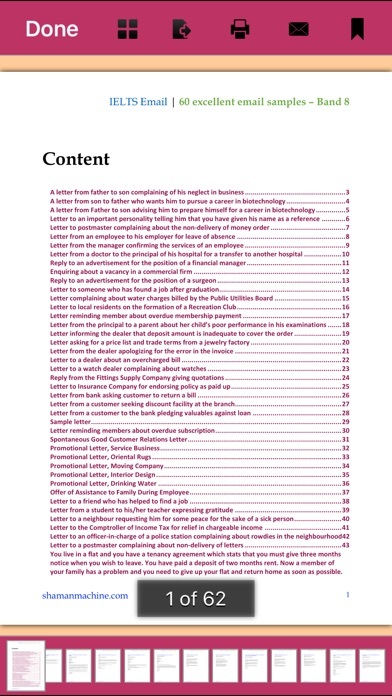 Please write as many essays as you can. The more practice you get, and the more familiar you become with the type of topics given, the better you will do on the exam. Even if you think you are a poor writer today, you can learn how to take your simple essay and transform it into something much more effective. 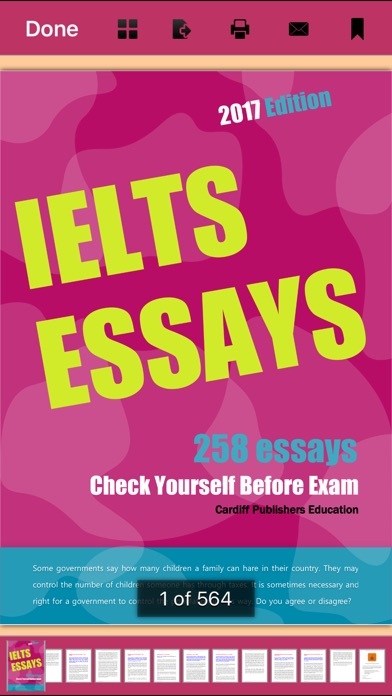 Adding some of the winning elements from the 258 sample essays will give you the extra marks you need to become a high-scorer on the IELTS. 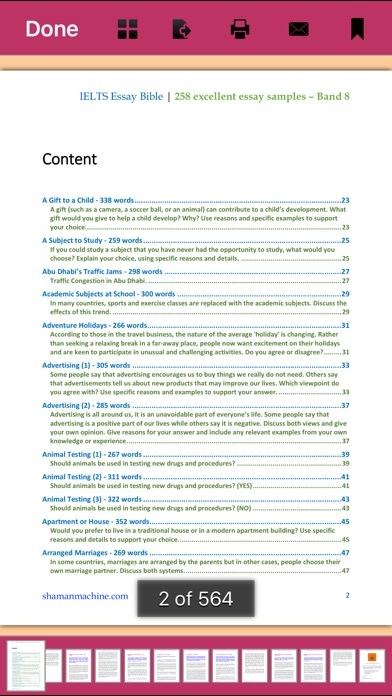 What is included: ◎ 258 IELTS Essay Samples - Band 8 ◎ 60 Excellent Emails - Band 8 ◎ 68 IELTS Speaking Topics ◎ IELTS Wordlist - 1,000 Most Frequently Used Words FEATURES: ◎ Download, print or e-mail PDF documents! ◎ Zoom, pinch, bookmark! ◎ Swipe left or right to slide to next-previous page. ◎ Use one app on iPhone, iPod Touch and iPad! ◎ Always new content will come in regular updates! ◎ 100% Ad Free. Jazz Up Your Life! Good luck! Your ShamanMachine Team. NOTE: Please configure your mail account on the device before sending email from within the application!